You do everything that you can to keep your family safe from harm. Car safety is always a high priority, but driving carefully is not the only precaution you should take to safeguard your loved ones. If your windshield has scratches, chips or cracks, you need to schedule a mobile Houston windshield replacement or repair as soon as possible. 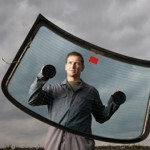 Even the slightest damage to your Houston auto glass is serious. Scratches can cause a glare that could impair your vision. Pits and cracks also cause glare, but they can destabilize your windshield enough that it will not protect you or any of your passengers if you have a collision. The windshield helps to hold your vehicle together by preventing the cab from collapsing if you have a rollover accident. Most folks rely on their vehicles. They cannot just drop their cars off at the glass repair shop and walk to work. That is precisely why mobile windshield replacement in Houston has so many benefits, especially if your windshield has serious damage. You do not have to chance the dangerous drive to the repair shop. The service will come to you whether you are at home or at work. There is no better way to get the job done without having to break your busy routine or imperil your family or pets. All you have to do is tell the repair team your location, and the technicians will be on their way. A chipped windshield is easy to overlook, but chips can rapidly become cracks. Cracks, in turn, become breaks. Whatever detracts from your line of vision is a danger to your safety. By using a mobile auto glass repair company, you will be sure to get the very best service possible. 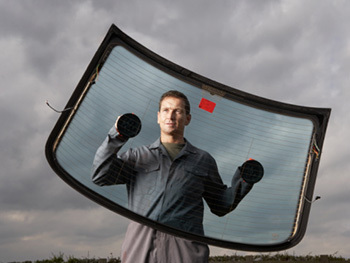 It makes more sense to have a professional do the Houston windshield replacement at your convenience than to stop at a nearby glass shop that does not have the resources or skilled workers equipped to handle a mobile repair. Apple Glass is standing by to take your call if you need mobile service. They will come to your location and replace or repair your windshield while you go about your business. If you live near one of our locations, you can also bring your vehicle to our facility. We will fix it while you wait. We have been in business for nearly three decades. That sort of longevity means that we deliver quality workmanship at a competitive price. In Houston, give us a call at 713-680-1400. If you are in The Woodlands, we can be reached at 281-296-0600. This entry was posted in Mobile Windshield Repair and tagged Houston Auto Glass, Houston Windshield Replacement, Windshield Replacement in Houston. Bookmark the permalink.